Ok, please don’t hate me? I know it’s only October and yes I am posting a recipe for mince pies. Just hear me out for a sec please? 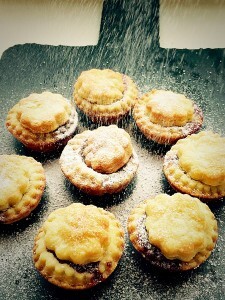 Because these Cream Cheese Pastry Mince Pies are totally, out of this world amazing and it would be completely unfair for me to have waited any longer to share these with you. Just look at them. They are so cute and little and perfectly bite size. They’ve even got a dusting of snow. Tell me you’re not interested now – thought so!! Who would have thought of putting Cream Cheese in pastry??? Yet, this recipe is based on a Pampered Chef recipe I jotted down years ago at one of their parties. 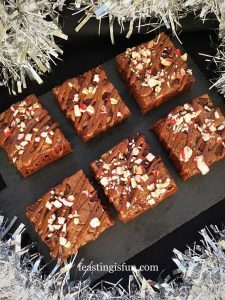 They (the Pampered Chef’s) are masters of quick, delicious, recipes and whilst their cooking and bakeware may be a little on the pricey side, it lasts forever. This isn’t a sponsored post, I genuinely love their stuff. Anyway, back to the pastry. I first saw this made and demonstarted at a Pampered Chef Party (if you host one you get great discounts – just saying!). 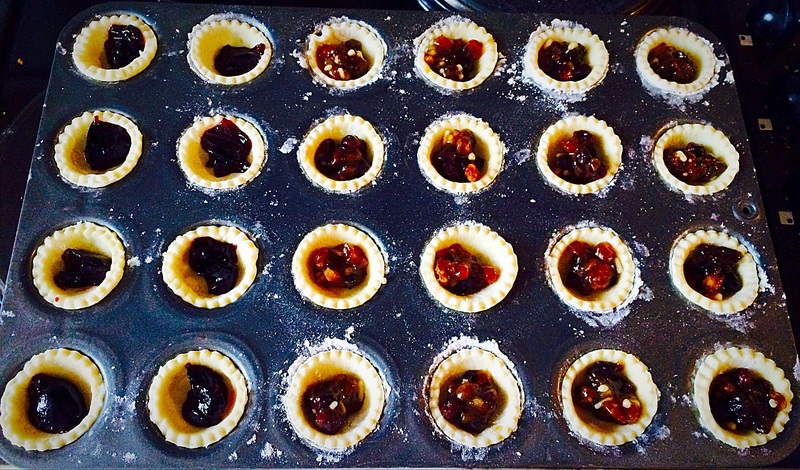 The Cream Cheese Pastry was used to make some mini Pecan Pies and delicious they were too. With me being me, I like to fiddle around with recipes. 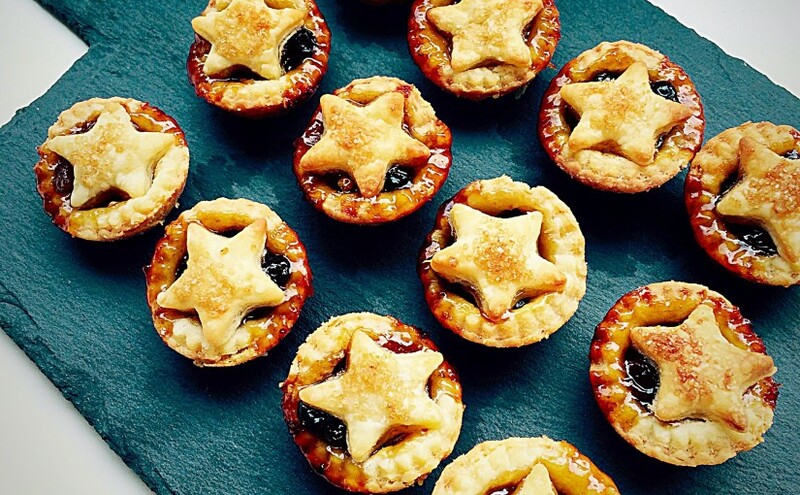 Because the pastry has a subtle, yet beautiful tang to it, I was sure that it would pair beautifully with sweet mincemeat. 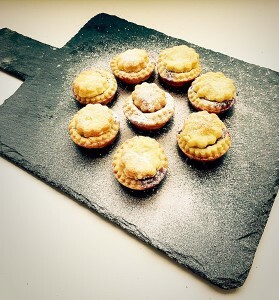 Resulting in these Cream Cheese Pastry Mince Pies. With recipes I tend to be a bit of a rebel. If someone tells me something isn’t going to work, I want to know why and then try to figure out a way to make it work. It was heavily stressed, during the cooking demonstration, that this pastry could not be rolled out. Well I just had to take that as a challenge and prove them wrong. And so I did. The Cream Cheese Pastry is unbelivably soft, which is why it produces such a tender crumb. Yet, if you chill it for long enough and work quickly and methodically with it, then my lovelies, you sure can roll it out. This little tip transforms a one recipe pastry into a whole new realm of possibilities, including my Cream Cheese Pastry Mince Pies! Since I haven’t ever made anything bigger than a regular sized mince pie, using this pastry, I am doubtful it woud have the strength to hold together for a large tart. But I am willing to be corrected. And now I’ve written that, I may have set myself a challenge!!! Aside from the deliciousness that this pastry brings to the mince pies, it is so easy to make. 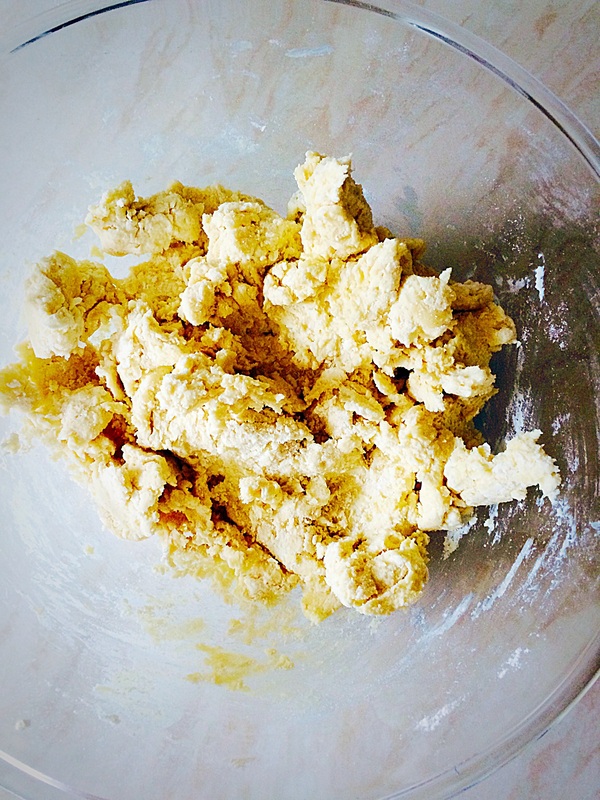 No mixer, food processor, just a bowl and a fork – really it’s that simple. Here I’ll show you how. Add the butter and cream cheese to the flour in a large bowl. 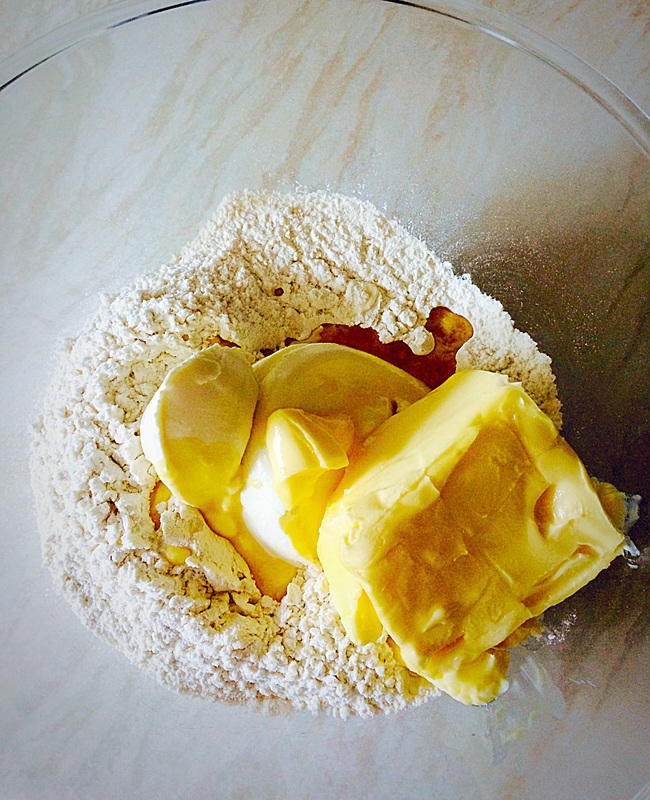 Using a fork gently mix the 3 ingredients together to form a dough. Form the pastry dough into a disc, wrap tightly in cling film and refrigerate for 1 hour. A good tip, as this dough warms up very easily, is to have everything you need to make the pies, ready before you start rolling the dough. Also preheat the oven to 200C/180C fan. On a well floured surface, break off 2/3 of the dough and roll out to 1/2cm. 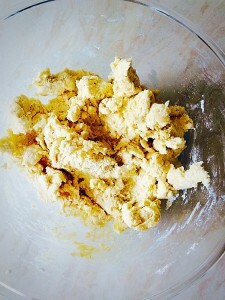 Ensure you have plenty of flour, cutters and a palette knife handy. Due to the high fat content I never grease my tin. Feel free to do so if you are unsure of it’s non stick ability. 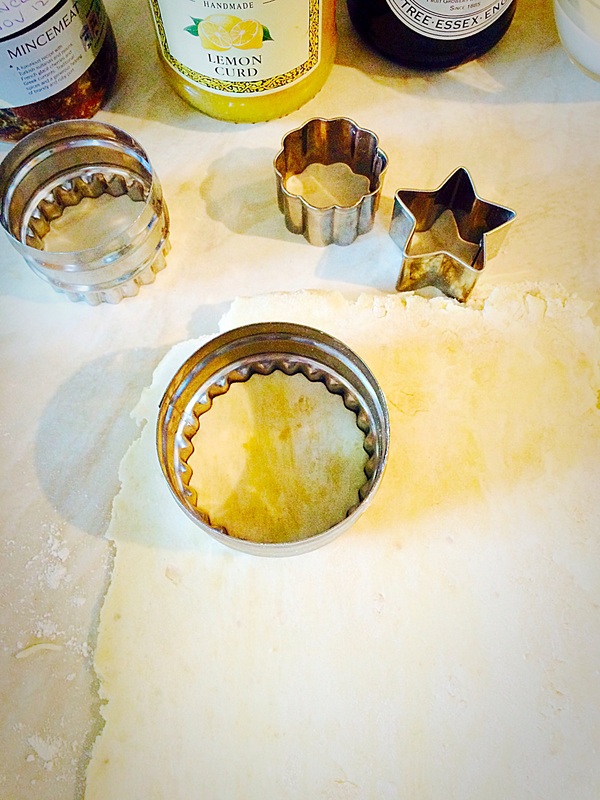 Line your tin with pastry cups. 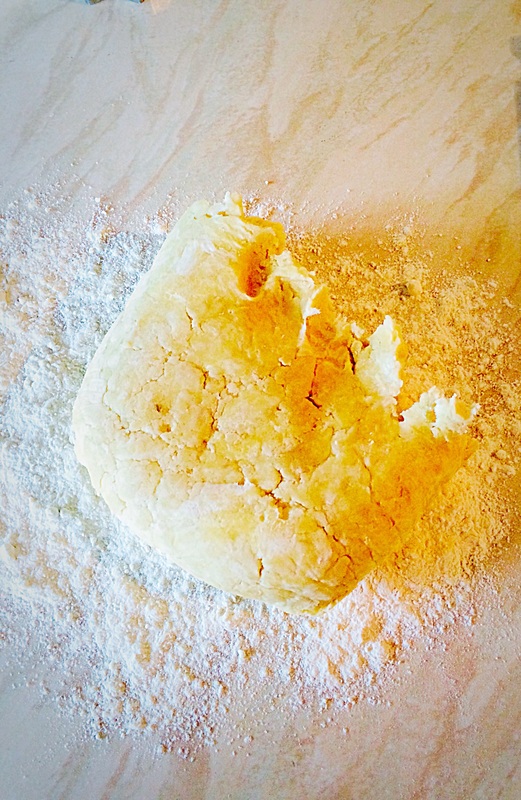 Gather up the pastry and re-roll if needed to cut all of your pie bases out. 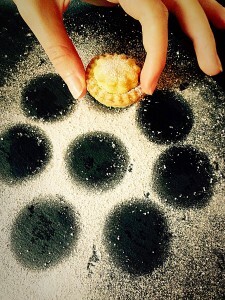 Make sure you have plenty of flour on the work top, otherwise this pastry will stick. If the pastry does start to get too sticky, wrap up in cling film and pop back in the fridge for 20 minutes. 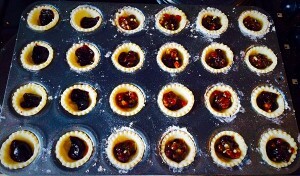 Fill your pastry cups with mincemeat or alternatively jam. Important: do not overfill your pastry cups, you will literally just end up with a heated mess. 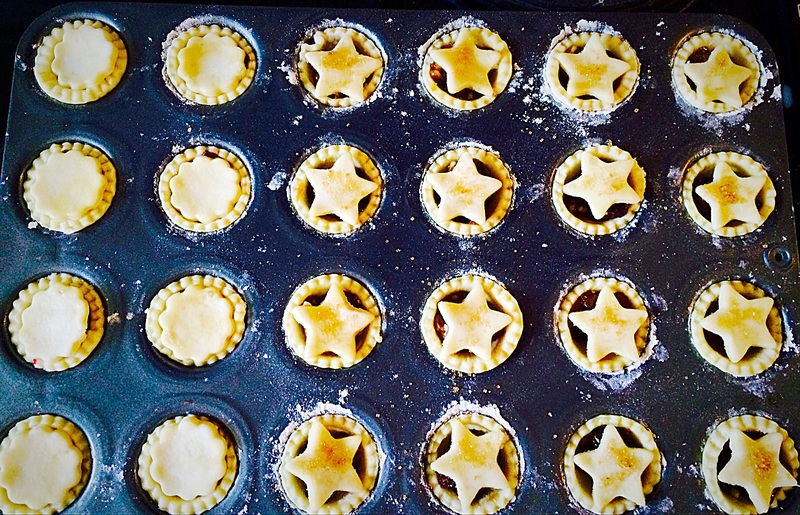 I used a scant 1/2 teaspoon of filling in each of my mini pies. 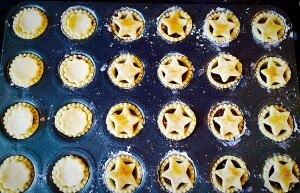 You can see the 2 vertical lines on the left are filled with blackberry jam – youngest daughter not keen on mince pies! Cream Cheese Pastry Mince Pies – use a cutter that just fits the top of your pies. 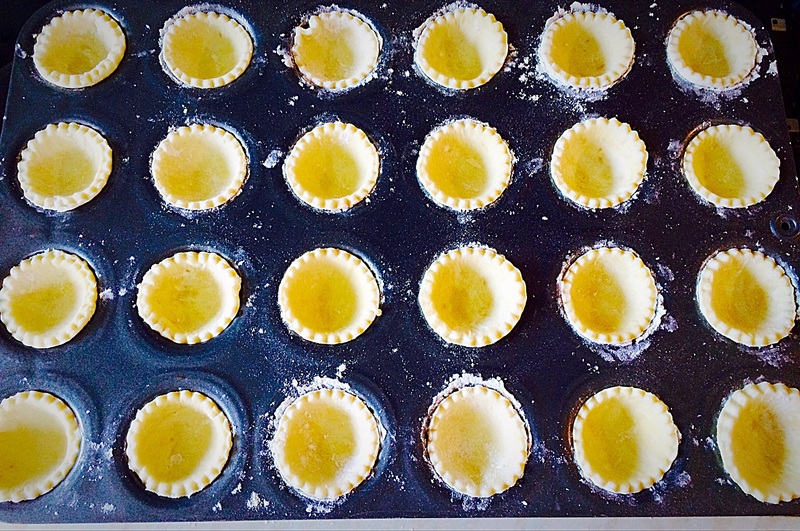 Use the reserved third of pastry for rolling out the lids. Top each pie with a cutout pastry shape. 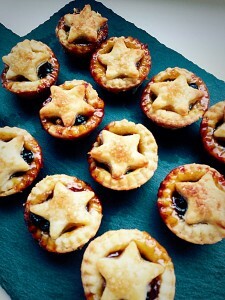 I used stars for mince pies and mini flowers for jam pies. 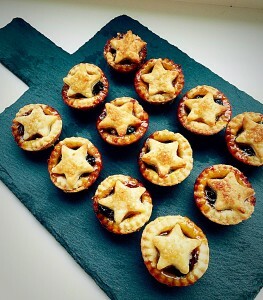 Sprinkle a little demerera sugar on the star topped mince pies for added sparkle. 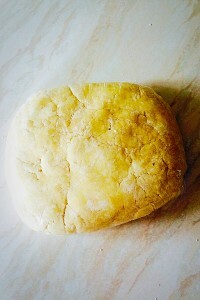 Place into a preheated oven and bake for 15-20 minutes, until puffed and golden. 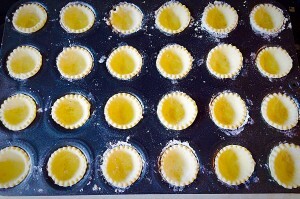 As soon as they are baked, remove from the oven and immediately remove the pies from the tin and place on a cooling rack. Be careful the filling is extremely hot. They can be kept at room temperature for 3 days in an airtight container, or frozen, once cold for one month. 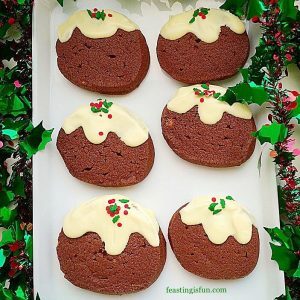 Perfect to make before Christmas and stash in the deep freeze. Cream Cheese Pastry Mince Pies are a revelation on your taste buds. 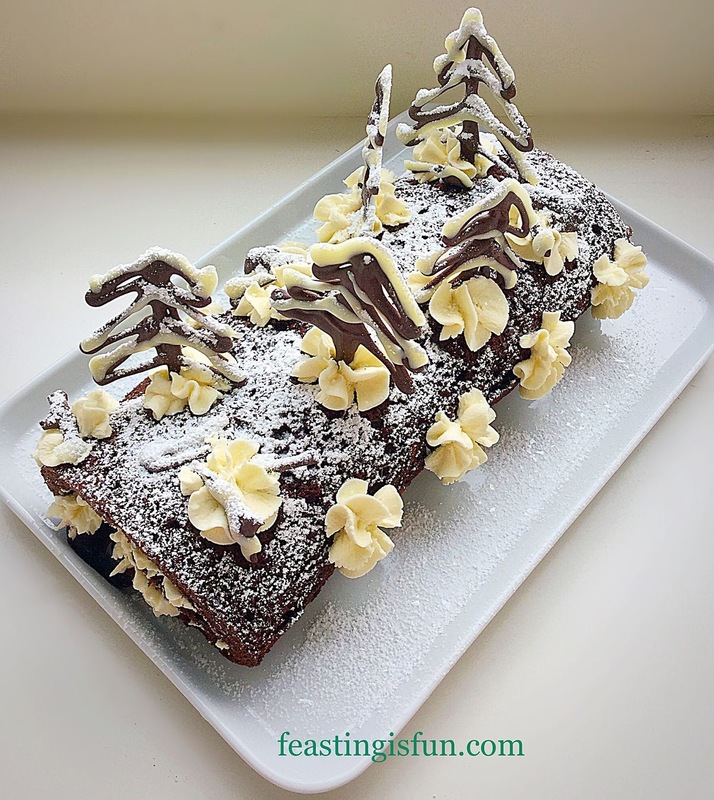 Snowy Black Forest Roulade – with a gluten free option. While Christmas is first and foremost about celebrating the birth of Jesus, it is also a time for meeting up with friends and family. Almost every shelf in the shops are laden with edible Christmas treats and they do have a place. Yet making and baking homemade goodies is also fun too. 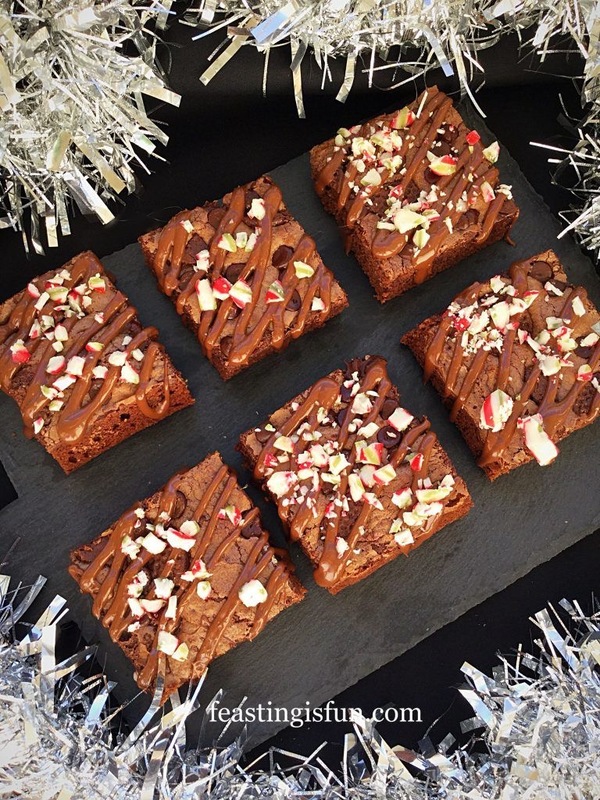 Above all, homemade treats are made with love, something that cannot be bought. And they taste a million times better than their shop bought counterparts!